The recent elections revealed deep divisions within the electorate. The first rule of watching South Korean elections is the same as the first rule for watching Korean TV dramas: be prepared to be surprised. In this respect, South Korea’s 2016 National Assembly electoral result delivered, as virtually no one predicted the magnitude of the failure of the ruling Saenuri party or its major standard bearers. The results left the former majority party in second place at 122 seats, well short of the 151 seats needed to exercise a majority in the 300-seat National Assembly. The first place Minjoo or Democratic Party of Korea, pruned by the departure of entrepreneur-turned-National Assemblyman Ahn Cheol-soo, who started his own People’s Party, captured 123 seats to become the largest party in the National Assembly. Ahn’s own start-up experience proved sufficient to lead the newly-established People’s Party to a better-than-expected thirty-eight seats, primarily centered in Korea’s southwestern Jeolla region. The election also was a defeat for South Korea’s queen of elections, Park Geun-hye, following over a decade of dominant influence on national electoral outcomes. The result will constrain her presidency to initiatives that do not require National Assembly approval and will hobble her ability to secure legislative approval for future cabinet appointments. South Korea’s executive office wields significant power, especially over national security and foreign policy, but there are virtually no prospects for progress on any other matter that requires legislative support or approval. As with any good Korean drama, now that the shock has sunk in, it is clear that the signs of deep divisions within the Korean electorate exposed by this election were there all along. The biggest signal that the ruling party was headed for failure was revealed in the handling of the candidate selection process. Since at least 2000, South Korean voters have consistently expressed discontent with political parties, seeing them as corrupt and unfaithful intermediaries that distort the will of the people and translate it to serve their own interests. Because South Korean voters know that candidate selection is vulnerable to corruption that empowers the party leadership at the expense of the constituents, the parties that have implemented transparent or impartial candidate selection processes have tended to receive greater voter support. But the Saenuri party process this cycle was defined by perceptions of meddling and factional infighting between pro- and anti-Park forces, turning voters off. In retrospect, there were enough signs to know how this year’s National Assembly election drama would end all along. First, there is the generational division between progressive younger voters who are concerned about jobs and the conservative older voters who are concerned about welfare. 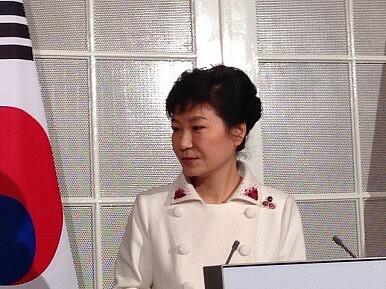 Park’s presidential victory in late 2012 was fueled by support from the older generation and generated disillusionment among younger voters. Three years later, voters are dissatisfied with the Park administration’s performance on both jobs and welfare. Second, there are personal divisions, personified most clearly by the fact that Park’s 2012 economic advisor, Kim Chong-in, who coined the phrase “economic democratization,” took leadership of the Democratic Party of Korea, while Lee Sang-don, who ran the Saenuri party selection process in 2012, was a prominent member of the newly-established People’s Party. In other words, former Park supporters were in the vanguard for the opposition. Third, there are structural divisions that are exacerbated by the dynamics that occur when the quadrennial National Assembly election lands in the fourth year of a five-year presidential term. This means that the time horizon of National Assembly candidates is longer than the time line of the president and therefore less likely to be controlled by presidential wishes. In addition, National Assembly elections become a dress rehearsal for the next presidential election in which leading candidates seek advantage or are winnowed out by the legislative electoral result. Dramatic failures this time included losses by former Seoul mayor Oh Se-hoon and former Gyeonggi provincial governor Kim Moon-soo. Fourth, there are not only ideological divisions between parties, but personal divisions within parties that will be exacerbated as members focus on the December 2017 race for the presidency and fight for party nominations of the three main bases that now have the organization and funding to run a national election campaign. Each party must contend with internal divisions: Saenuri will be hobbled by continued pro- and anti-Park competition; Minjoo will face continued rivalry between pro-Roh and anti-Roh factions; Ahn Cheol-soo is the face of the People’s Party, but Jeolla province (former president Kim Dae Jung’s stronghold) is its base. In my view, further splits are unlikely because the People’s Party’s performance qualifies it to receive public funds under Korean election law, but a new party without a track record would not qualify to receive those funds. A progressive merger between the Democratic and People’s Parties will be often discussed, but in my view is unlikely now that rival organizational bases have been established to support a presidential run. The aftershocks of this election have reshaped the political ground in advance of South Korea’s December 2017 presidential election. Given the known flaws of Korea’s known professional politicians and public doubts that they are truly capable of addressing Korea’s increasingly intractable, interlocking, and mutually contradictory challenges of economic growth, demands to expand public welfare, and income inequality, the ground is set for an outsider candidate that is able to credibly promise transformational leadership and sterling administrative management. And UN Secretary General Ban Ki-moon may not be the only plausible outsider who could shake things up. As the late Don Oberdorfer used to say about Korea’s most exciting political drama: hold on to your hats.